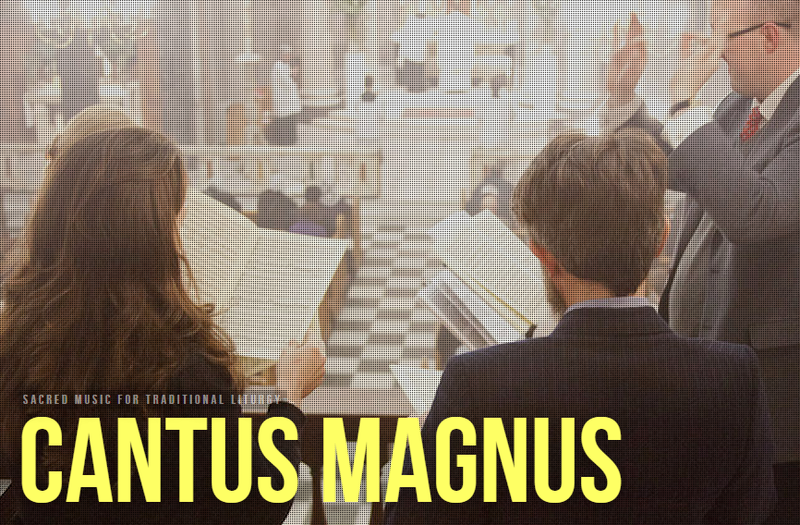 Matthew Schellhorn leads Cantus Magnus, a British ensemble dedicated to sacred music that will sing the Pontifical Mass for the feast of Christ the King on the last day of our 2015 pilgrimage. Good music can draw people into the mystery of worship and therefore I see being a musician as primarily a vocation of service. Beyond that, I can only explain in general terms. I am a Catholic musician, but all Catholics are musicians in the sense that our patrimony includes music because music is an essential human quality. As Cardinal Ratzinger explained: “When man comes into contact with God, mere speech is not enough.”. Or, to use St Augustine’s phrase: “Cantare amantis est” – singing is a lover’s thing. This truth, then, is the link for me and for others. We sing because we have faith; and we have faith so we sing. This entry was posted in #sumpont2015 and tagged 2015, cantus magnus, sacred music, schellhorn. Bookmark the permalink.